4 ways to create loyalty through brand storytelling. Your brand story is more than a statement on your website or a steady stream of social-media postings. It’s more than just the tale you tell – it’s also the subtle (or not so subtle) ways you communicate who and what your brand is through your actions. In a nutshell, your brand story is both the narrative of why you started and where you’re headed, as well as the daily operations that get you there. It is the story of your journey and it is one of your most valuable assets. You heard us – your brand story is an asset. It is the emotive path to connecting with your customers. It fuels the passion which in turn builds trust and loyalty. 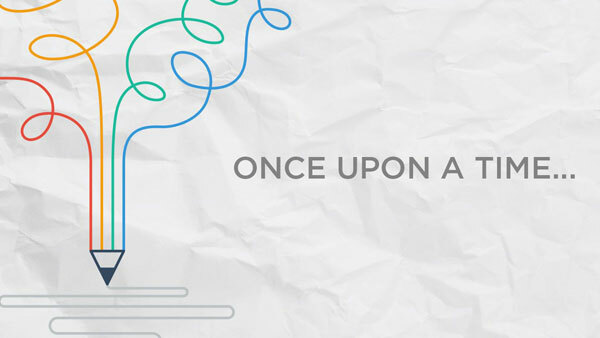 Your brand story is a significant driver in acquiring, engaging, and retaining customers. So, okay, it’s important. But how do you leverage it? Here are 4 best practices for using a brand’s story to create meaningful connections with your favorite people – customers! Whether you roast the best coffee beans on the East Coast or have the most stunning dining room nestled in a small Midwestern town, you need to find what makes you unique and special and emphasize it. It might be your close relationship with area farmers, authentic Mexican street tacos or the 84-year-old cashier who’s been working there since she was a young girl and whose smile brightens everyone’s day. Find the thing that makes you special and that people want to get a little more of. Then make sure they know about it. People enjoy connecting with a brand, beyond a simple transaction, so give them a reason to inspire that feeling. Do you make all your pies with recipes from your great-grandmother’s recipe box? Do you donate part of your proceeds to feed the hungry in your community, like West Michigan’s Feed the World Café? Did you try to open another business and fall on your face? Share that, too. People can relate to the stinging pain of failure. And when it comes down to it, we humans are rooting for one another. It’s one thing to say you’re this or that, but you’ve got to back it up with your actions and the way you run your everyday operations. You care about the environment? That’s good. But how is that value represented? Does your staff donate time every week to picking up litter in the community? Do your daily procedures include ways to save energy, water, and other natural resources? Even something as simple as your to-go containers can say a lot about your choices as a brand. Consider Vio® biodegradable* foam cups and containers with coordinating biodegradable* lids and straws. You can custom-print your brand message right on the cup, along with Vio’s unique biodegradable* story. What could be easier than showing and telling at the same time? A powerful brand is an authentic brand. If a restaurant claims to serve “house specialties” but then offers up mostly frozen, prepared entrées, they will lose precious credibility – fast. Others whose marketing portrays a warm and fun-loving atmosphere, but whose reputation points to overworked and underappreciated employees, will quickly get called out. One of the reasons Tijuana Flats is a beloved Tex-Mex destination is their uniquely quirky atmosphere. But they don’t stop with brightly colored walls and catchy murals boating “Get Saucy!” One of their core values is “FUN” and they prove it via high-energy servers quick to flash a smile, wild hair color or gorgeous tattoos. This is a promise that’s in the brand’s DNA and is then served up with pride to a customer base who’ll happily eat it up. So try out these four ways to make your brand story come to life and watch more customers become lifelong customers.